There are ongoing STRATEGIC RESEARCHER and ORGANIZER openings nationwide, mostly at affiliated unions around the country, and periodically at the national AFL-CIO in Washington, DC. 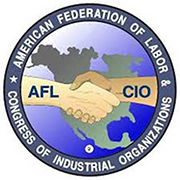 The AFL-CIO Organizing Hub maintains a newly redesigned organizer and researcher resume database. People who wish to work as strategic researchers and organizers post resumes on our database, which is consulted regularly by union hiring managers when filling vacancies around the country. Adding your resume to the AFL-CIO resume pool is an excellent way to get your application materials in front of hiring managers, whether you're a veteran campaigner or new to the labor movement. There are regular openings at AFL-CIO affiliated unions in locales like Chicago, Washington (DC), Las Vegas, Los Angeles, New York, and San Francisco. Locations with vacancies change constantly as positions are filled and new ones open up. You can indicate your geographic preference(s) when posting your resume. We're looking for new and seasoned researchers, organizers, and campaigners: people with experience in union campaigns, community organizing, or political campaigns; recent college grads, grad students, or professionals with skills in areas such as financial analysis and corporate research; and especially people with a passion for social and economic justice. Post your resume at https://portal2.aflcio.org/resume_posting. You will be prompted to fill out a short posting form and to upload your resume and a cover letter. You can indicate whether you are interested in working as an organizer or researcher. What Happens After Adding Your Resume to the Pool? If a union is interested in pursuing your application, you will be contacted directly by the individuals who are hiring for specific positions. Posting your resume with us does not guarantee that you will be contacted for an interview. **Qualifications, pay, benefits, and job duties for researchers and organizers vary by union, so you will need to discuss specific job openings with a union staff person if you are contacted for an interview. In addition to posting your materials with us, you are encouraged to contact affiliated unions directly about any openings that are of interest. Currently employed by an affiliate? Hiring managers at all AFL-CIO affiliated unions have access to resumes posted with us. If you are currently employed by an affiliated union, you should post with us only if you've notified your employer that you're looking.